The Dragon Tree - what is it and why is it there? 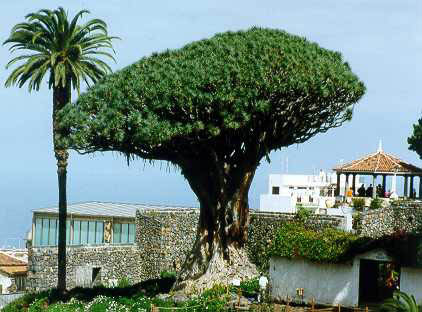 The Dragon Tree (El Drago). What is it and why is it there? That's a question I was asking myself. Situated in the northern Tenerife town of Icod de los Vinos, this tree is one of the major tourist attractions of the island. So, what's the story behind it? Turns out, these trees are all over the place! They are found (sometimes as related or sub-species) throughout the Canary Islands, as well as Cape Verde, Madeira, the Azores and Morocco. 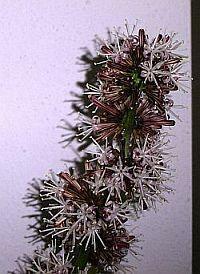 Worldwide, they can be seen in southern Asia and Central America. The only thing that distiguishes El Drago is its size and age. 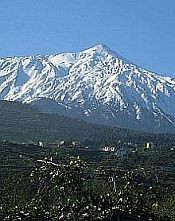 Tenerife's famous version is huge and very old - estimates vary from 650 years to 3,000! 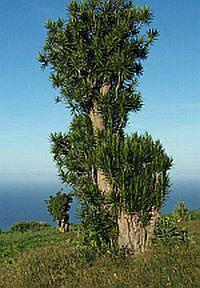 There are claims that it is the oldest tree on the planet. The species gets its name because, when the bark or the leaves are cut, they secrete a red coloured resin, which is said to be the dried blood of dragons which, apparently, has healing properties. In the past, this "dragon's blood" was extracted on an industrial scale and used to make varnishes and lacquers. So many of these trees disappeared as a result that, nowadays, the tree is a protected species. If you take the journey to see it, there is no room to park right next to it, so a bit of a walk is required. There is a fee to pay to see it, up close.